We are number one in Scotland and in the top 10 UK city regions for business start-ups, more than 25 of Scotland’s top 100 businesses are located here and we are one of the top five most economically productive regions in the UK. 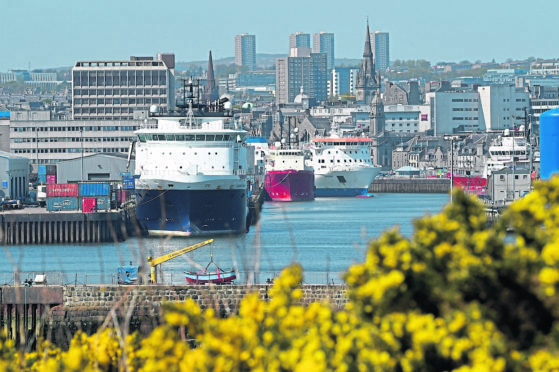 From the discovery of insulin by an Aberdonian scientist and the invention of the self-seal envelope through to the UK’s first degree in artificial science, the breakthrough research in Alzheimer’s which is happening right now and Aberdeen’s status as a pioneering city for hydrogen and low carbon – we certainly have a reputation to be proud of. It is well known that entrepreneurship is the engine fuelling innovative employment generation and economic growth. Only by creating an environment where entrepreneurship can prosper and where entrepreneurs can try new ideas and empower others, however, can we maintain our standing while also attracting global talent to our region. This starts with inspiring our school, college and university students, the people who will go on to build the next generation of companies, creating jobs and contributing to the growth of our economy, at both a local and national level. It also requires that the right support structure be in place to nurture the establishment and growth of new enterprises. The final part of the jigsaw is opportunity. While our region’s reputation for entrepreneurship is historically rooted in our oil and gas expertise, the work being undertaken to diversity our key industry sectors across energy, tourism, food, drink and agriculture, life sciences and digital business offers significant scope for our region to continue to be an enterprise hub for many years to come.